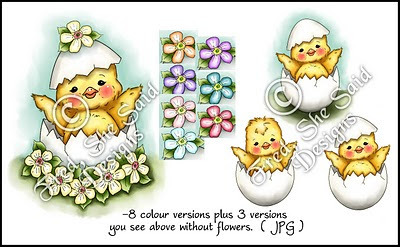 -included JPGs & PNGs plus individual flower, flower base and hat images. 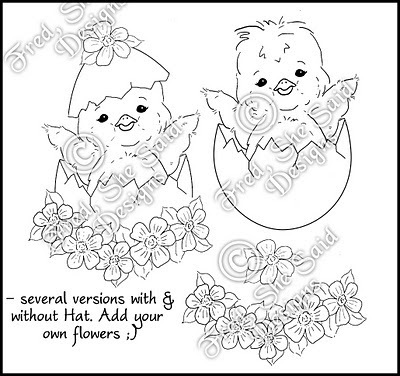 Also includes ready-to-print sheets. 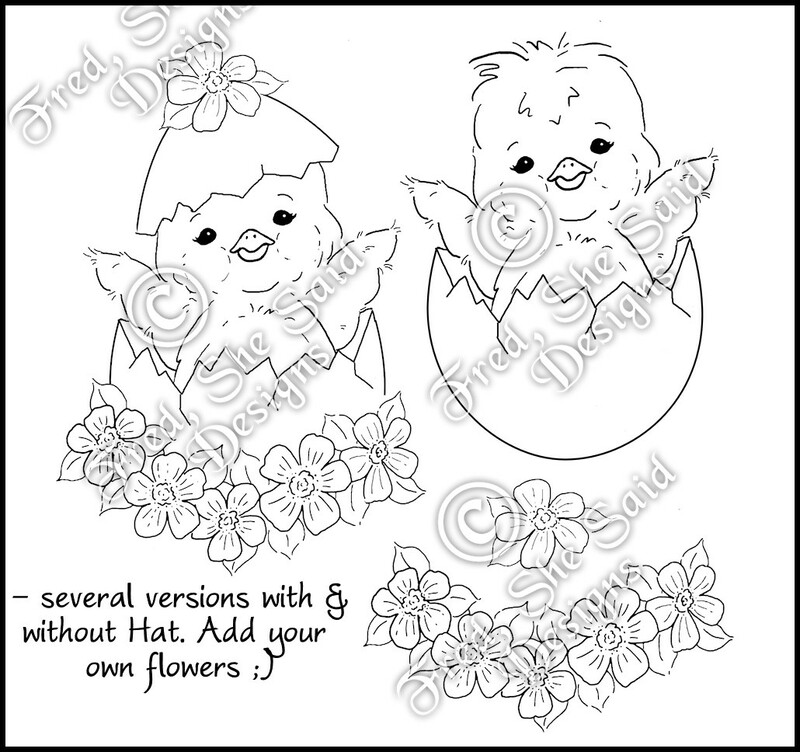 - Includes 8 coloured versions of the floral Easter Chicky with hat like you see above PLUS 3 versions without flowers like you see above. Also includes ready-to-print sheets. ( all JPG). (an alternate PNG set will be available as an extra download). *NOTE: Individual flowers and flowerbase images are NOT included in the pre-coloured set.